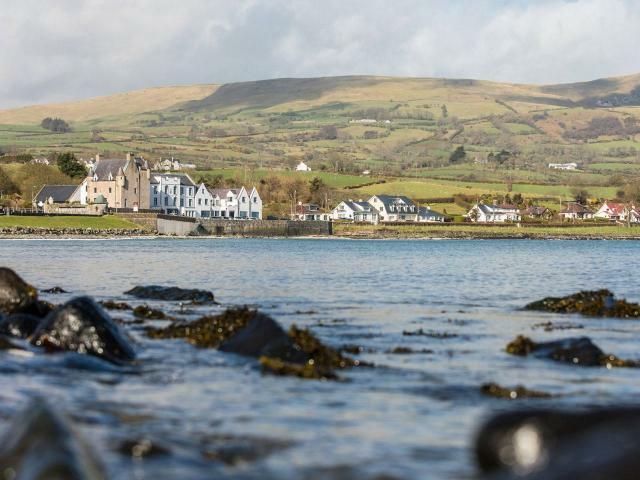 Ballygally Castle iN Northern Ireland is an iNSIDE EUROPE favorite sight-sleeping hotel. Ballygally Castle, affectionately dubbed “the jewel in the Hastings Crown”, was purchased by the Hastings Hotels Group in 1966. Over the years, various expansions and renovations have transformed it into the charming hotel it is today. 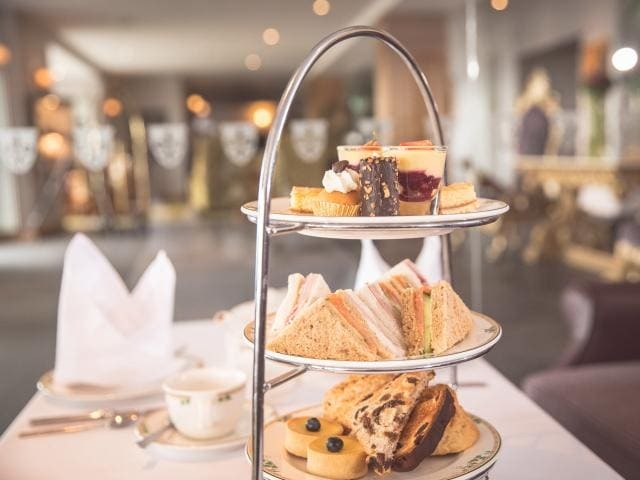 It received official four-star status from the Northern Ireland Tourist Board in 2007 and in 2014 the hotel underwent a further major refurbishment and expansion project. The addition consisted of ten new Coastal Deluxe bedrooms, a new larger Reception area and the stunning new Kintyre Ballroom. All developments at the Castle have been very carefully undertaken so as not to distract from the history of the original building, as the hotel’s distinctive character comes from the fact that it dates back to 1625. The Ballygally Castle is unique in that it is the only 17th Century building in Northern Ireland still being used as a residence today! The castle was built in 1625 by James Shaw and his wife, Isabella Brisbane. Shaw, a native of Greenock, Scotland, came to Ireland in 1606 to seek his fortune. In 1613, he received a sub-grant of land from the Earl of Antrim. It was on this land that the castle was built. The original castle served as a place of refuge for the Protestants during the Civil Wars. During that time, it was handed down from fathers to sons and in 1799 it was passed to William Shaw, the last squire of Ballygally. In the early 1800s the Shaw family lost their wealth and the estate was sold to the Agnew family for £15,400. For several years it was used as a coastguard station, before the Reverend Classon Porter and his family took residence. It was then taken over by the Moore family. They then sold it to textile millionaire Mr. Cyril Lord in the early 1950s, who refurbished it as a hotel. 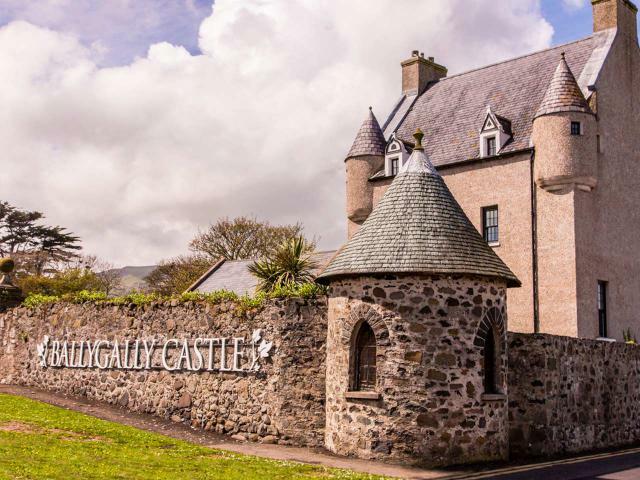 Perched on the tip of the famous Causeway Coastal Route, sits Ballygally Castle, a stunning 17th Century Castle which overlooks the golden sands of Ballygally Bay and has uninterrupted views across the Irish Sea. 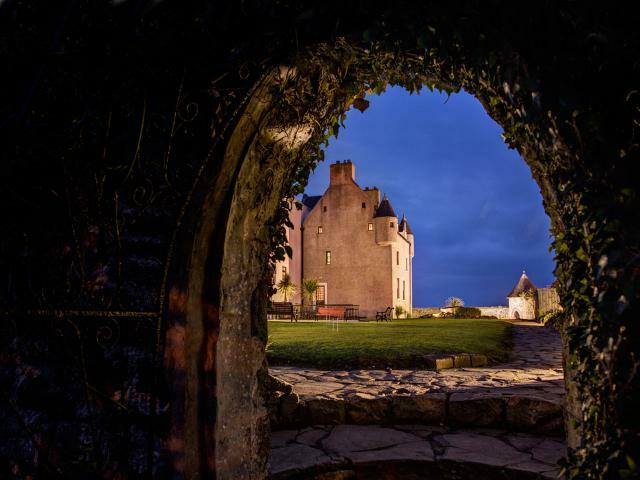 This beautiful Castle is perfectly located for visiting top attractions like the stunning Causeway Coastal Route, Bushmills Distillery, Carrickfergus Castle, Royal Portrush Golf Course, Carrick-a-Rede Rope Bridge or embarking on a Game of Thrones location tour.